"Eat your heart out, Pence!" 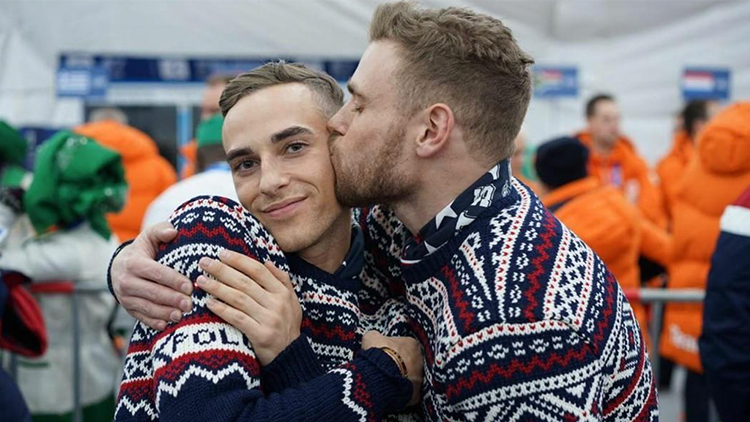 Gus Kenworthy and Adam Rippon, the first openly gay men to ever make it to the Olympics, were too adorable for words in a series of photos Kenworthy posted on social media this weekend. Not only did they share possibly the cutest "we wish they were boyfriends" kiss ever, they also had a very shady message for Vice President Pence, who Rippon recently declined to meet. If Kenworthy wasn't already partnered with cutie actor Matt Wilkas, we'd be rooting for he and Rippon as America's first queer Olympic Couple.